Philip Carreon is one of the most skilled and widely respected hairstylists in the salon, fashion and entertainment industries. With over thirty years of experience in both salons and on set, Carreon has established himself as the go-to for powerful trendsetting ‘done but undone haircuts and styling.’ Philip strongly believes in accentuating your beautiful haircut with unforgettable hair color. While Mastering stellar hair for his salon guests, Philip continues to beautify the entertainment industry’s top acts. His clientele includes Anne Hathaway, Annette Bening, Milla Jovovich, Demi Moore, Christina Hendricks, Catherine Zeta-Jones, Maria Bello, Candice Bergen, Winona Ryder, Britney Spears, and Miguel. Carreon is well is known for countless looks changes throughout the career of the legendary late Prince. As celebrity stylist, Philip can be seen with Tim Gunn in seasons nine and ten of the Emmy winning ‘Project Runway,’ hosted by Heidi Klum. In 1991, Philip and Robert opened the legendary Estilo Salon, now Ramos Carreon Salon. In addition to his wide client base, he is credited for being the Teacher’s Teacher and fostering the careers of many celebrated top stylists. Working with a wide range of clients at both Ramos Carreon Salon and on-set, Philip developed his signature aesthetic of “stylized form haircutting” combined with energetic texture and movement. Philip’s style of Hair color is legendary for artistic placement, balance and hue. 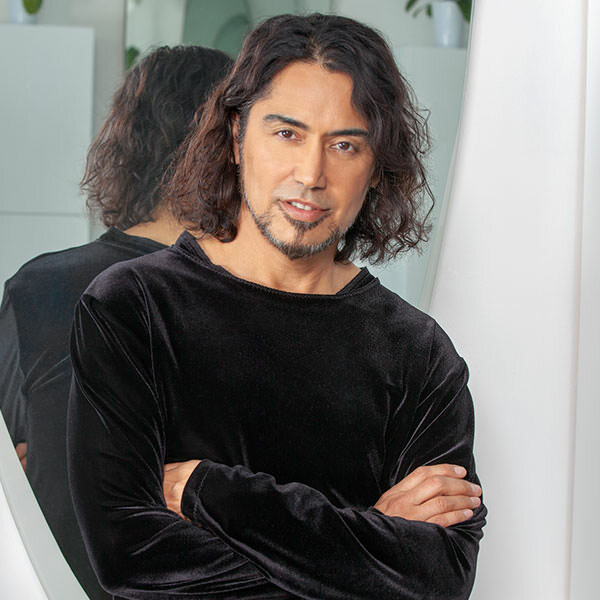 As Creative Image Director for Eufora Professional hair products, Philip Carreon has helped establish Eufora as a top trend-setting brand in the professional world of hair. His passion for beauty, style and giving back to his industry, makes Eufora the perfect style partnership. All of Philips broad artistic endeavors continue to elevate his craft as a master stylist to bring back to his guests at Ramos Carreon Salon.